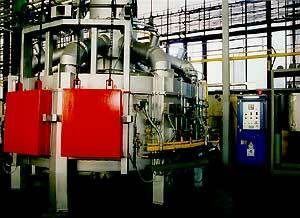 The melting is done in induction medium frequency furnaces with automatic temperature controls. 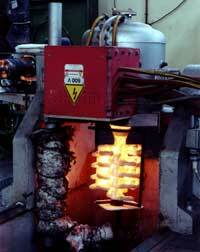 This melting process is continuously watched over by specialists for quality assurance. The size of melting units is selected to provide the proper conditions which allow for consistent alloy temperatures from the beginning to the end of pouring, as well minimizing any changes in alloy composition. 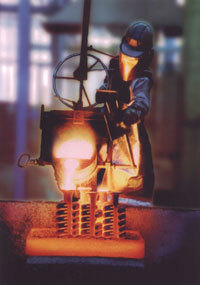 Before each melt is approved for further steps of the process, the necessary inspection tests are performed.